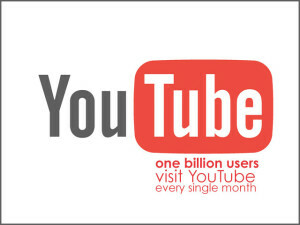 It is estimated that over 1 billion users visit YouTube every single month, and 4 billion hours are spent watching videos on YouTube within a month. People spend a lot of time searching for videos, and those videos also rank well in search engines such as Google. Of course, some people are on YouTube listening to music or looking for funny videos, but there are many other people who turn to the video search engines in order to find information that they are looking for. Potential home buyers love to utilize YouTube, because it allows them to find homes in their area. 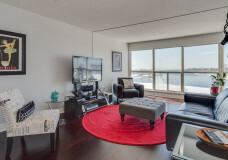 Additionally, the real estate videos offer them the opportunity to view the home and take a real estate virtual tour. This tour will help them to see how the house is laid out, and they can view many of the features before they visit in person. 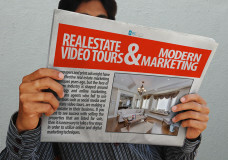 Don’t make the mistake of trying to create a real estate video tour on your own, unless you are a professional videographer. Too many home owners want to save money, so they try to use the built-in video camera on their phone in order to take a little bit of footage around the property. The problem with this do-it-yourself option is that the videos are very low quality, and they might actually cast the property in a negative light. It is much better to work with a videographer who specializes in real estate video tours, because they will have the experience and expertise to create a high quality video tour that will draw in the attention of potential buyers. Yes, it will cost a little more money, but it is more likely that your home will sell more quickly, because the real estate videos helped you to connect with the buyers who are truly interested in the property. 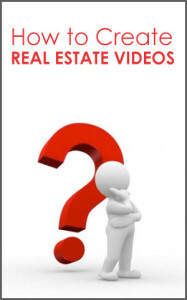 When you upload the real estate videos, make sure to use specific keywords in the video title and description which will draw in potential buyers. For example, it is a mistake to use a general title such as “Home Tour” because the title doesn’t specify the location of the home. 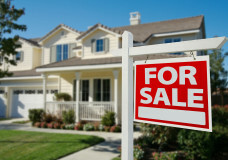 Instead, title the video “Home for Sale in (City Name) – Virtual Home Tour,” or something similar. It is also a good idea to add tags with your location-specific keywords, and also include those keywords in the description of the video. Putting the keywords of the city name into the tags and title of the video will help to increase the chances that your video will appear in the search engines when a potential buyer searches for a similar keyword. Some real estate videographers might offer to take care of the upload process for you, but even if they are handling the upload it is still a good idea to make sure that it is done right. Don’t worry if there is a typo or mistake in the video details, because you can always make edits and changes later on as they are needed. One mistake that is commonly made is the fact that the video is uploaded, but contact information is not shared in the video. Make sure that the property details are shared in the video itself, and also share those details in the description for the real estate video tour. It is also a good idea to include a link to the main property listing, where the potential buyer will be able to see all of the information in writing. Provide the contact information as well as the specs for the home, and the buyers will be grateful that so much useful information was provided up front.